Allow us to offer you the pest control service this company has been providing since 1991 at the professional level, both in terms of expertise and environmental performance. We have been working for many municipalities where information about the results of our work can be obtained. When performing the work we follow the Standard Methodology of Protective Rodent Control announced by the Chief Health Officer of the Czech Republic under Ref. No. HEM-381. Our company employs specially trained personnel qualified under the Act on Public Health Protection. qualified personnel who work reliably and for affordable prices. Our customers receive from us free complete professional documents required for all levels of government inspections, ISO implementation and other certifications. The company has modern equipmentfrom renowned manufacturers, which allows for a faster and more effective intervention. Our clients are covered with liability insurance for damages up to CZK 10,000,000.. 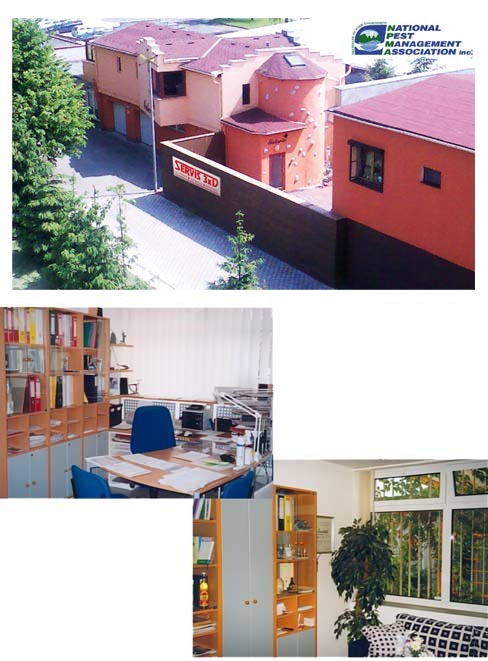 The products used by us are registered for use in the Czech Republic. Surveys and monitoring for pest occurrence are provided free of charge. We hold an international certificate. The certificate is recognized not only for the EU but also for ASIA, AUSTRALIA and the US (issued in Honolulu). Certificate of membership in the Pest Management Association within the CEPA for the EU. Entrust your problems to the hands of professionals. Address SERVIS 3xD spol.s r.o.